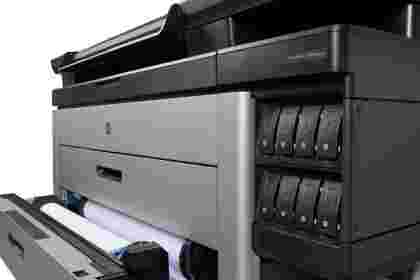 The HP PageWide XL 5000 printer series offers a new way of printing technical drawings, blueprints and tracing prints. Built to produce accurate print results at superior printing speeds the XL 5000 is capable of printing up to 7 A0 white prints and digital blue prints a minute as well as up to 6 A0s per minute for natural tracing paper. For even greater productivity controls the device has been designed to function seamlessly with HP SmartStream, giving users more control over printing workflow, error management and even integrates native PDF management. 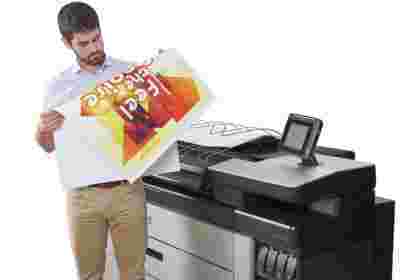 The printer uses an Intel core i3 processor and 8GB of RAM enabling it to start printing in half the time it takes a comparable LED MFP device to start. HP PageWide technology has taken the market by storm since it was introduced. The new printhead array enables superior printing quality at unmatched printing speeds resulting in lower coster per prints and reduced print bottlenecks. The HP PageWide XL 5000 combines the printing ability of two printers to produce a comparable costing machine capable of producing a wide range of technical and blueprint drawings. There is an optional PageWide XL 5000 MFP solution which includes a 1200 DPI scanner for accurate scans up to A1 (40 Inches). 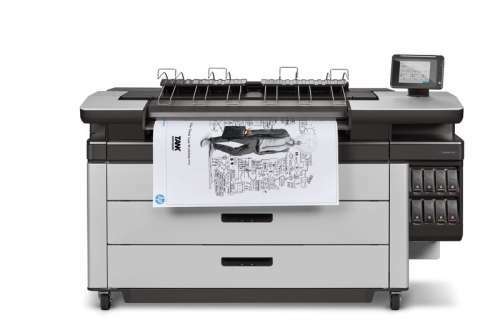 Both the HP PageWide XL 5000 and HP PageWide Xl 5000 MFP are EPEAT and ENERGY STAR certified, meaning these devices are cheaper to run than comparable LED multifunctional devices. The reduction in energy usage is so significant that both devices run off a standard office plug, no need for expensive electric installations and special power. HP PageWide Inks are free from ammonia enabling the printer to easily integrate with offices striving for healthier working environments.